It's been a hectic last few days so this week's Dishy only graced my eyes today, over brunch at Jackson + Rye with some good friends. And yes, those are my Hello Kitty tissues. I'd had brunch here before [post here] when I'd had a bunch of random things including a very delicious cobbler. This time round, brunch was done properly. 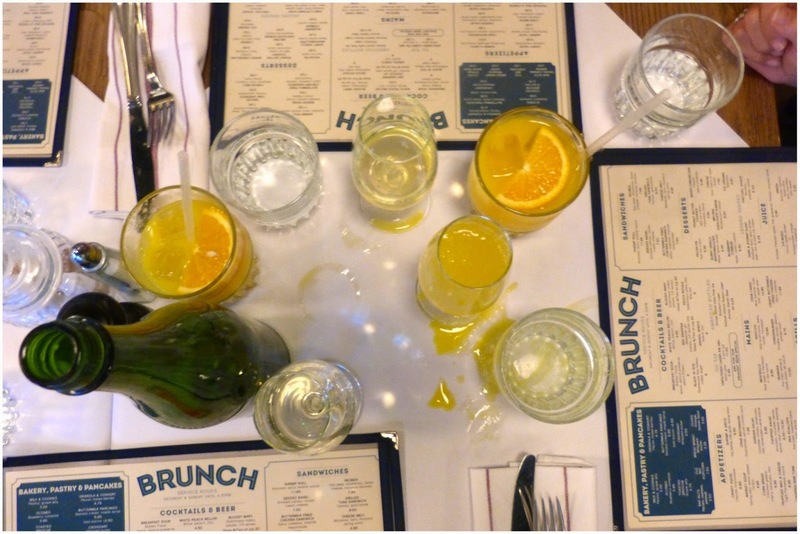 We started with making our own Mimosa [probably to our waiter's horror, evidence below] and then all went with a few different dishes [this place's brunch menu is great and really varied]. 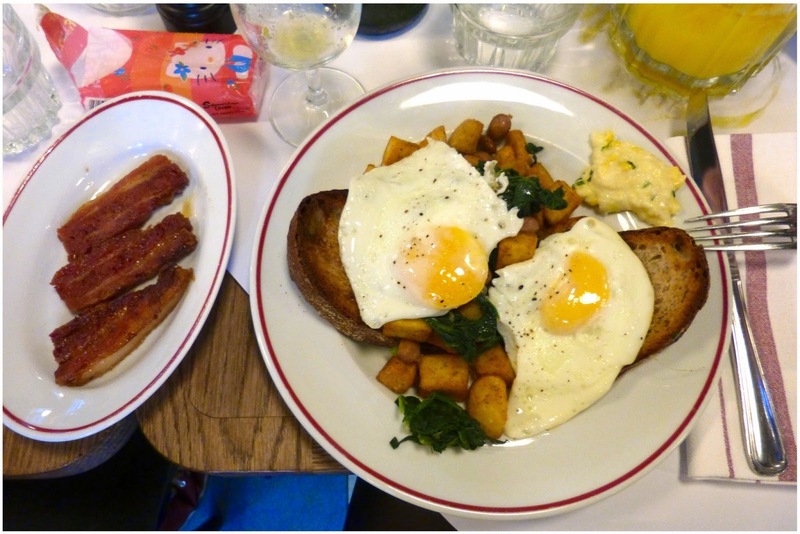 I went for the: Gardener's Eggs which includes fried eggs, spinach, country style potatoes and grilled toast w/ a side of maple syrup covered bacon. YUM. I really enjoyed this. A good way to end what felt like a crazy week. Hope you all had a good [and relaxing] weekend.